Over the past 30 years, Dr. Rynar has placed thousands of dental implants and has enjoyed a 10-year success rate of greater than 95%. 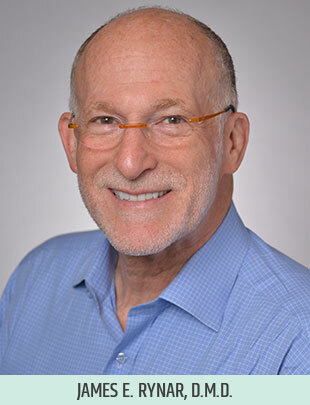 He has constantly enrolled in continuing education and research programs to stay current with the latest developments, and Dr. Rynar shares this knowledge freely as a Clinical Professor of Periodontics at Rutgers School of Dental Medicine. In addition, he has lectured extensively throughout North America and Europe in the fields of periodontics, implantology, guided tissue regeneration, inductive therapies, antibiotics and office management. Also, he has published numerous research papers in respected, peer-reviewed journals. Dr. Rynar is also an Institute for Advanced Laser Dentistry Certified Instructor and Co-Director of the Advanced Periodontal Laser Course at Rutgers Dental School. Along with his exceptional base of expertise with dental implants, Dr. Rynar has earned his reputation as one of the “go-to” periodontists in metropolitan New York. He has earned Advanced Certification, acheived Fellowship status, and is a Certified Instructor for the Institute for Advanced Laser Dentistry, and nearly 90% of his patients come from referrals. He is honored to treat many other dentists, physicians and their family members. Dr. Rynar takes very seriously the role he plays in helping patients return to optimal oral health, and he knows first-hand the direct link between healthy gums and overall health and life expectancy.